Tim's Wooden Toys opened August 8, 2008. Tim has been in the business of making toys for 26 years. The toys are 100% hand-made in the workshop inside the store. Watch as we create each toy everyday (Come See What We Saw). We have traditional push and pull toys, as well as many different cars, trucks, trains, and airplanes. Art sets are available for the young artists, and Tool Boxes for Daddy's little helper. We now offer custom cedar signs. We personalize toys for only $5.00 and offer many laser engraved puzzles, games and gifts. Tim and Katie are mastering a new art form with the Laser Engraver as an add on to the many great things we already offer. Many different games are always available to challenge the young and the "well seasoned" kids as well. We have several styles of rubber-band guns, ping-pong crossbows, cork-pop guns, slingshots, swords and shields, for the adventurous spirits. Try our indoor shooting range with any of our toy guns. After you are finished panning for gold and gems, don't forget to stop by our gift shop, the Southwestern Outpost, which features the area's largest and most complete offerings of Native American art , Southwestern Decor, Jewelry, Rare Earth Gems, and Prehistoric fossils. We update our inventory monthly, so that no matter when you stop by, you are sure to find new treasures with each visit. The Navajo ways of life make for a unique Southwestern culture, and our gift shop offers a wide selection of Southwestern Navajo gifts & decor, including authentic Native American arts, pottery, and handcrafts! Whether you are admiring an authentic Navajo Horse Hair vase or trying a turquoise and sterling silver ring on for size, you will be struck by the uniqueness and history of each individually handcrafted piece. We import our products directly from the Native American artists, which means you get the best value without the middle man markups. You can even pick up a bucket of our Georgia Gold Rush Paydirt or Gem Rough to take home or stock up on authentic gold and gem mining supplies. We offer a wide selection of rough and cut gemstones, as well as variety of gemstone jewelry, including rings, necklaces, earrings, and more. You can even buy gold nuggets mined from our own Dukes Creek operations. We even offer convenient shipping options for customers wishing to have their gifts sent directly back home. Kitchenware,Linens,Pottery,Military,Quilts,Records,Tools,Toys and so much more. 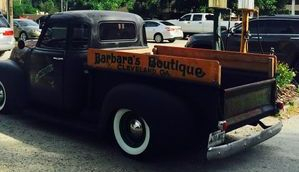 Betty's Country Store has an amazing selection of fresh produce, deli items, beer and wine, fresh meats, candy, books, bakery items (including Betty's famous carrot cake and wonderful cheesecakes! Originally from Amish Country, Ohio, we now have a store in Beautiful Downtown Helen, Georgia. We carry a full line of Jams, Jellies and local honey. 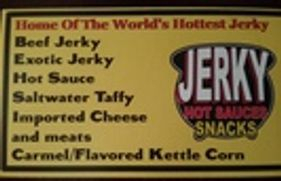 Our huge selection of beef sticks, beef jerky, exotic jerky and even bacon jerky is sure to put a smile on your face. We also have taffy...lots and lots of taffy. Whatever flavor you can think of, we probably have it. Our taffy is chewy but NOT sticky. It's tasty and delicious. If that doesn't tickle your tummy, you should try our colossal selection of Bavarian Nuts. They are warm and fresh. Do you prefer Sweet, Salty or Spicy? Can't decide?...mix it up! Our best seller is the pralines...endless possibilities! Hold up a glass and say "Prost!" 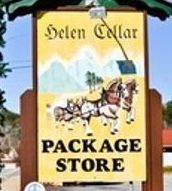 Come visit us in the German Alpine village of Helen, Georgia, where you can find us right on Main Street. We carry a wide-selection of beer, wine and liquor - from the local vintages to a large selection of German beer and wine. If you're looking for something unique from a regional craft brewery, we can help you there too.Whatever you're looking for, our friendly and knowledgeable staff can help you with your selection. Can't find it on our shelves? We can order what you need and help you with your next party or special occasion. We pride ourselves on our selection of hard to find pistols, rifles, shotguns, and ammunition. With brands like Glock, Beretta, Sig Sauer, Kimber, H&K, Steyr, Tavor, and Taurus we cater to the discerning weapons enthusiast and our selection of high end weaponry reflects our commitment to the absolute top quality the firearms industry has to offer. We are a Boutique that has been in business for over 15 yrs. We are dedicated to our customers, and keeping our customers in the most current styles. We love keeping up the the most current fashions for you Ladies. We have a Passion for Fashion! We get new arrivals shipped everyday , so every time you step in our store you will always find something new that you just can't live without. 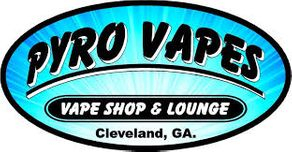 We are a vape shop and lounge. We have premium eliquids made in USA. We also carry Mods, Tanks, RDAs, batteries, chargers, coils, tools, stickers, art and much more. Stop in for a great time or shop with us online. Stay safe and vape happy! We sell Auto Accessories for all vehicles. We install high quality Video and Stereo systems. Customizing your personal vehicle. Ace Audio offers a full line of mobile electronics and vehicle accessories. With services ranging from custom vehicle installations, auto truck accessory installation, full automotive detail spa, and window tinting for residential, automotive and commercial.We can get most major brands of products for your audio and video needs including; Kenwood, Orion Car Audio, JL Audio, Pioneer, Alpine, JVC, Kicker and many more. Accessories for your vehicle include products from, Weather Tech, Truxedo Tonneau covers, Westin, Lund, Mickey Thompson and many more.Ace Audio services not only White County but also Hall, Lumpkin, Cornelia, Stephens, Banks, and Rabun Counties. Give us a shout today and see what we can do to make your commuting a lot more pleasant. THE SIGN SHOP is a well-established business of almost 10 years. I am Chad Hannant, proud friend of former owner, Al Garcia. I was blessed to be chosen & able to take on this exciting business opportunity. I was trained by the best, & have been head deep, placing my all into this journey. I'm a family man whose lived in white county for almost 15 years. I am married to beautiful woman named Austin, together we have a 4 yr old daughter who is the SHINE to our sunshine! So,I'd like to welcome myself to past customers & assure you that I honor any previous business arrangements settled on before new ownership. I look forward to working with all past & future customers! Urban Farmgirls... first booth on the right!! Do you love Antiques, Vintage and Funky items? Come see us!! Your bound to fall in LOVE! Mountain Laurel Antique Mall is over 8000 square feet of fine antiques, collectables, furniture, glassware, crystal, dinnerware, fine china, silverware, art deco, art nouveau, primitives, cabin furniture, kitchenware, tools, lamps, mirrors and consighnment furniture. Our inventory is constantly being updated and we are not hard to find. Come see us in the big yellow building!! 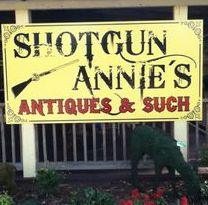 Shotgun Annie's is located in beautiful, historic Sautee, GA., right across the street from the Old Sautee Store. We carry an eclectic mix of furniture, from antiques to hand-painted, to what I like to call rustic/industrial; you won't see two pieces the same here! We also carry custom lighting, antique lighting, architectural pieces, local art and pottery, jewelry, decor and specialty plants and topiaries (life-size). If you're looking for something for your lake or mountain home, give us a try! If we don't have what you're looking for, we can get it or make it. With a name like Shotgun Annie's, you know "we aim to please", so come on out and see us.